The past year has been great for trans lit by trans authors getting some spotlight time, and for awesome diversity in superhero books (see: Not Your Sidekick by CB Lee, Last Call at the Nightshade Lounge by Paul Krueger, The Heroine Complex by Sarah Kuhn), so this month’s spotlight is on a book that combines both by starring a trans lesbian protag who inherits a superhero’s mantel when he dies in front of her and sees her body morph into one that reflects her gender as a result! Add the sequel to your TBR here! For those of you who feel like you’ve already read every LGBTQIAP+ book in existence, not to worry – there’s plenty still to come! 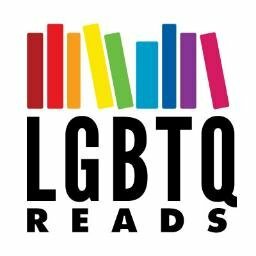 Every TBRainbow Alert will have a mix of five LGBTQIAP+ titles to make sure are on your radar, along with why I think they should be on your radar. If you missed the earlier alerts, you can check out those titles here. And now, because I can’t wait to get these books on your reading lists, check out some of what awaits in 2017! *This is the US release date. It originally released in the UK in 2016. I haven’t read any of the books in this series yet, but they’re so full of underrepresented characters, I’m just hoping to love them all, and hoping lots of people who haven’t been able to find themselves in books yet can find themselves in these! This book is so. Much. Fun. If you follow Mackenzi Lee on Twitter (or have at least seen her #BygoneBadassBroads series) you know how awesomely fun she can make history, and how she makes characters from eras you might think stodgy come to life. This is a super freaking cute fandom book with two best friends narrating, providing one f/f romance and one cishet romance. It’s also got lovely autism rep, and is full of encouraging messages. This one particularly stuck out to me as being a good choice for reluctant readers. TRANS SUPERHERO BOOK. We good here? Yeah, I thought so.